Arcade games will always hold a special place in the hearts of the gaming community if only for the fact that they are among the first recognizable examples of video games. Needless to say, the public’s reception to these innovative games was nothing less than astounding. Even today, many people still prefer to play them over the newer games because of their simple interface and sheer action appeal. 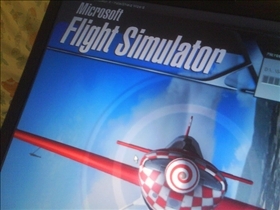 Of course simulation games are now all the rage as well, and the two forms have often been compared to one another. Which one comes out on top? Let's see! The main characteristics that all arcade games have in common are action and fast game play. Aside from that, they can virtually cover the entire gamut of game genres, from adventure type games to simple shoot ’em ups. In addition, arcade games generally allow you to perform outlandish feats as well as go through bizarre challenges and obstacles that simply wouldn't be possible in the real world. You can leap over entire mountains for instance, or you could have the same mountains caving in on you as you speed through. High impact is the name of the game here, and little regard is given to realism and accuracy. With simulation games on the other hand, virtually all of the action is true to life…or at least as close to it as the technology will allow. This means that superhuman feats such as defying gravity or concrete crushing body slams aren't possible. In fact, many simulation games are modeled after real life events such as sports, car racing, combat, warfare and the like. In terms of depth, arcade would have to take a back set to simulation games. 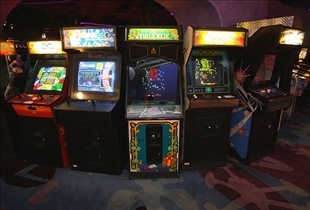 While most simulation games offer multiple levels and a more cohesive storyline, arcade games are generally restricted to one primary goal. With most simulation games having been inspired by a movie or with a script written specifically for it, there are usually so many more opportunities to really explore and sink your teeth into a game. Arcade games are usually pretty limited in terms of control and customization options, but this isn't necessarily a drawback. With only one main goal to accomplish in most games, adding a host of player customization and control features beyond the superficial simply detracts from the game play. If you really want to have control over the various aspects of the game and even what missions you will undertake, simulation games are what you want. Many of the combat style games offer multiple missions in addition to various roles, and sports games even offer extensive features for customizing the playing style and the temperament of the players. Which type of game is more intense?